If you or someone you love suffers from snoring, you might be losing more than just a good night's sleep. It may be a sign of sleep apnea. Obstructive sleep apnea causes an individual to stop breathing for 10 or more seconds, sometimes hundreds of times each night. If left undiagnosed and untreated, sleep apnea can lead to serious health problems such as high blood pressure, stroke, depression and obesity. Millions of Americans suffer from sleep apnea, with only a minority actually diagnosed. Once diagnosed, they are usually treated with CPAP or surgery. CPAP stands for "Continuous Positive Airway Pressure." It is a machine that delivers a stream of compressed air through a plastic tube to a nasal pillow, nose mask or full-face mask, splinting the airway (keeping it open under air pressure) so that normal breathing becomes possible. While CPAP is considered the "gold star" standard for treatment of severe sleep apnea, only an estimated 43% of patients actually wear their CPAP masks because they can be uncomfortable and hard to sleep in. If sleep apnea sufferers aren’t using CPAP, it’s not helping! Working in conjunction with a sleep physician, Dr. Cox can create a custom oral appliance that opens your airway while sleeping and allows you to take full, deep breaths. For the treatment of mild to moderate sleep apnea, this conservative approach offers an alternative to invasive surgery or intrusive tubes and air blowing masks. We offer a quick and easy sleep survey below that can be filled out and submitted from the comfort and privacy of your own home to find out if a custom oral appliance could be the right solution for you. Simply fill it out, click "Send My Message," and the dentist will be in contact with you soon! 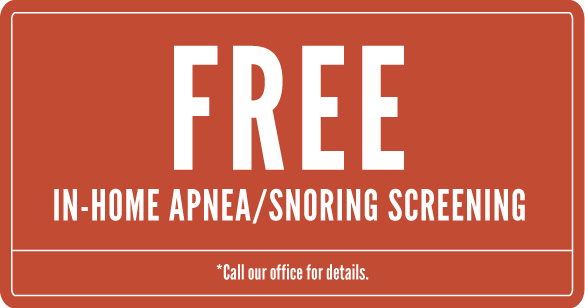 If you or a loved one believes that you may be suffering from sleep apnea, please complete the following form. The information will be sent directly to Dr. Cox, who will analyze the results and let you know if you have a "normal" amount of daytime fatigue, or something more. How likely are you to doze off or fall asleep in the situations described below, in contrast to just feeling tired?